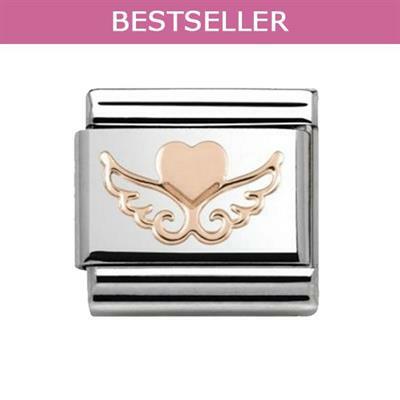 This beautiful Rose Gold Angel Wing Heart Charm is a fabulous new addition to the popular stainless steel composable collection, and features a 9K rose gold embellishment. This classic charm with a heart motif cradled by two angel wings is a charming addition to Nomination's new Christmas collection. Promising love and protection, this charm is perfect to give a loved one over the holiday season. Will fit any classic sized Nomination bracelet.